Step 1 – Register – Our simple registration form is all online, making it easy to complete. We ask you to send your family pictures, National Police Check for each adult in your household and family references by email. Click here for Online Volunteer Check in under 1 hour* at less than $30. Step 2 – Consultation – A friendly team member will call for a chat to give you more information and get to know you better. We answer any questions to get your ready to start interviewing with an activation fee. Step 3 – Interviews – With our interview guide and your shortlist, the interview process is really easy. We recommend you use Skype to make the interview more personal and face-to-face. Watch the video to get interview tips from host mum Kellie. Step 4 – Invite your au pair – Simply invite your favourite au pair and we take care of the rest. We prepare your documentation and our partner agency helps you au pair with visa and flight booking and travel insurance. Our online registration form is very easy to complete. Most families start interviewing within a matter of days and we often have au pairs to start immediately. What are you waiting for? All candidates are screened and prepared in their own country. Candidates receive ample information about the Au Pair in Australia program. Your family will see screened candidates with full profiles including personal information, pictures, references and Police Check and Medical check. All our au pair profiles are checked and complete. As we provide you with a complete program, you will be given our interview guide, au pair invitation, handbook and training material. Your au pairs also receive extensive training documents. Our expertise makes it easy and stress free for you and we are always here if you have any further questions. We know that being clear about expectations is the most important formula for success. With our extensive training and preparation material we help you do this. Au Pairs in Sydney, Melbourne and Brisbane are invited to attend our Meet & Greet events. 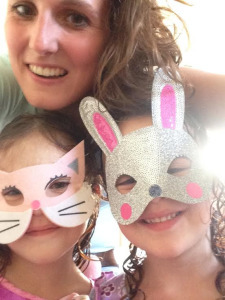 These au pair get-togethers are a great way for au pairs to settle quickly and make friends. We follow up with both family and au pair and we provide support and mediation in 4 languages. Call us any time if we can help, our friendly team is here for you. On Facebook we offer your au pair a chance to connect with and take part in excursions and outings with other au pairs.